Michigan has not been impacted yet, but the Centers for Disease Control and Prevention is warning the outbreak is only expected to get worse. Washington is facing the highest number of infections there in over two decades and more cases are popping up across the United States. 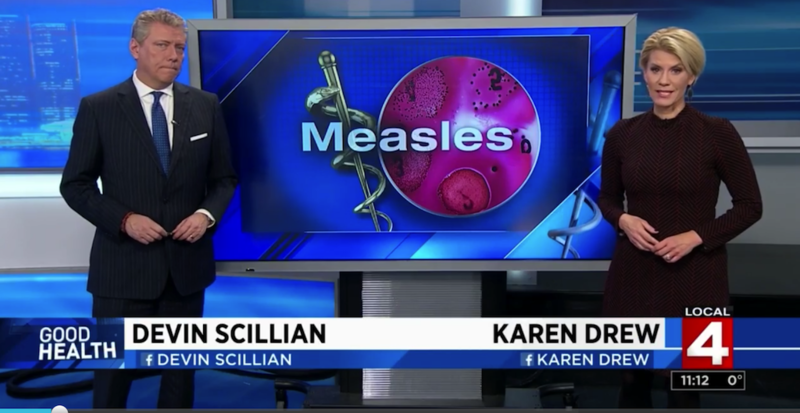 “Americans who travel abroad might be surprised to find out that a number of the countries where measles is being transmitted are countries that would be surprising to them,” Dr. Nancy Messonnier the director of the CDC’s National Center for Immunization and Respiratory Diseases, said. Health officials traced the outbreak in Washington to an unvaccinated international traveler and they said they’re seeing about five new cases each day. In New York, health officials have seen more than 200 cases since October. Most of those impacted are within Jewish communities linked to travel to Israel. There are 18 states that allow parents to opt out of vaccines if they have personal, moral or philosophical objections to them. That includes Michigan.